Georgia hasn’t exactly had it easy since marrying Nathan. Leaving her home in Australia and taking on the role of wife and stepmother has been a challenge to say the least. However, when Georgia is saddled with keeping her husband’s precocious and entitled niece and her own two stepchildren on an afternoon when she would rather be working on her own jewelry business, life takes a turn she and the children could never have predicted. As she watches her stepson’s hair mysteriously stand on end, Georgia gives it only a passing thought. Soon after, Georgia and the members of her household find themselves fighting for their very lives. 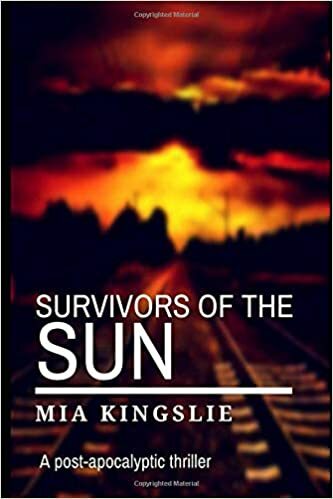 Mia Kingslie, author of Survivors of the Sun, has absolutely hit it out of the park. Her thriller, set in the present and focusing on the extreme likelihood that the world has been hit with an electromagnetic pulse, is phenomenally well-written and gripping in every way possible. Kingslie’s characters, her plot, and the conflicts within are clearly drawn with stunning visuals. Georgia, the book’s main character, draws on sources of strength most of us could never imagine. When she realizes she has likely outlived her husband everyone she knows, she picks herself up and heads, literally, for the hills with the children and their dogs in tow. After witnessing the horrifying deaths in their city, Georgia somehow manages to concoct a feasible plan for escaping their home with the needed supplies. She is a force with which to be reckoned, and Kingslie builds on her set of skills as the chapters advance. Georgia represents every man, woman, and child living through apocalyptic times learning to adjust as each new set of challenges is faced. The introduction of Lola into the traveling group makes the entire plot that much more engaging. Lola, a force in her own right, adds an element of unique humor to an otherwise dark and heavy storyline. Her backstory is one that makes her even more endearing to readers. I thoroughly enjoyed watching Georgia’s relationship grow and flourish with her stepchildren, but more intriguing was the evolving dynamic between Georgia and her niece, Deedee. To watch Georgia grow as a maternal figure was quite amazing. As a parent myself, I found it fascinating to see through her eyes as she begins to find ways to work around Deedee’s idiosyncrasies. Kingslie writes the most fantastic descriptions of post-apocalyptic terrors. From diseased bodies to the overwhelmingly eerie pictures of stalled cars, silent skies, and ravaged homes. 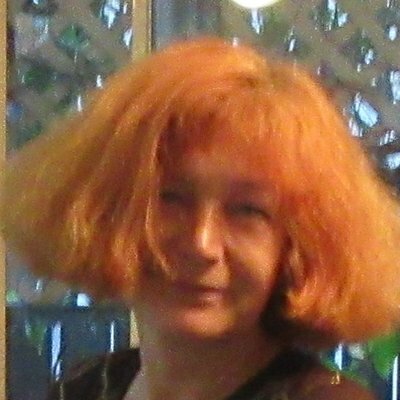 Kingslie’s writing style is highly effective in creating a scene for her readers of almost instant devastation. 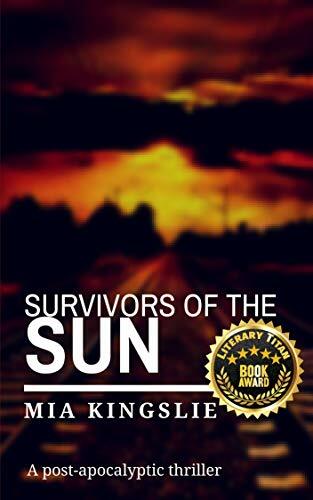 Were it possible to give Survivors of the Sun 10 stars, I would do it in a heartbeat. That being said, I can’t hesitate to give it 5 out of 5 stars. It’s hard to find a book that takes hold of your imagination and refuses to let go, but that’s exactly what Kingslie has managed to produce. I fell in step with Georgia and her ragtag crew from Chapter 1, and any fan of apocalyptic thrillers will do the same.